Founded as a Federally Chartered University in July 2000, the National University of Computer and Emerging Sciences is a premiere University of Pakistan, renowned for quality and impact of its students in the development of local software and other industries. FAST earned respectable name in very short period of time due to their hard work and dedication. They have five campuses around Pakistan Karachi, Lahore, Islamabad, Peshawar and Chiniot-Faisalabad. Every year thousands of students apply for FAST but very little number of candidates can secure their admission. Pakprep.com is the best online entry test preparation platform for any medical or engineering university. 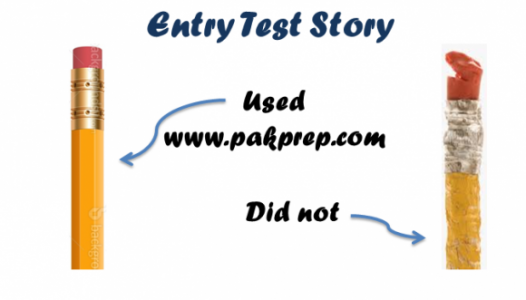 Pakprep.com contains all relevant material for the preparation of any entry test. Our database contains more than 15000 solved MCQ’s, past papers, MOCK test and smart analytics. All these features of Pakprep.com give competitive edge to our students over all other applicants and help our students to analyze their situation in a better way. We have more than 500 successful students from last year. To start your preparation today with Pakprep.com please CLICK HERE. This entry was posted in FAST and tagged Best way to prepare for FAST, Download FAST Past Paper, Download FAST Past Papers, FAST, FAST 2015, FAST 2016, FAST 2017, FAST 2017 Format, FAST 2017 MCQs, FAST 2017 Physics MCQs, FAST 3, FAST Admission, FAST Admission 2017, FAST Admission Test, FAST Admission Test 2015, FAST Admission Test 2015 engineering, FAST Admission Test 2016, FAST Admission Test 2016 engineering, FAST Admission Test 2016 FAST 2016 Preparation, FAST Admission Test 2017, FAST Admission Test 2017 engineering, FAST Aggregate, FAST aggregate 2014, FAST Aggregate 2016, FAST Aggregate 2017, FAST BBA eligibility criteria, FAST Biology MCQs, FAST BS eligibility, FAST Chemistry MCQs, FAST eligibility, FAST eligibility criteira, FAST Eligibility Criteria, FAST engineering, FAST engineering eligibility criteria., FAST Engineering Past Paper, FAST Entrance Test, FAST Entrance Test 2015, FAST Entrance Test 2016, FAST Entrance Test 2017, FAST entry test, FAST Entry test 2015 preparation, FAST Entry test 2016 preparation, FAST Entry test 2017 preparation, FAST entry test preparation, FAST FEE Structure, FAST financial aid, FAST Integration MCQs, FAST Islamabad, FAST Maths MCQs, fast mcqs, FAST Merit 2014, FAST merit list, FAST merit list 2016, FAST Mock Tests, FAST online preparation, FAST Online Test Preparation, FAST Paper Pattern, FAST past paper, FAST past papers, FAST Past Papers Engineering, FAST Past Papers Medical, FAST physics, FAST Physics MCQs, FAST Practice MCQs, FAST Practice Test, FAST Preparation, FAST preparation 2016, FAST preparation 2017, FAST programs, FAST result, FAST scholarships, FAST Semester FEE, FAST Solution, Fast solved MCQs, FAST Test, FAST undergraduate, FAST undergraduate admission, FAST undergraduate admissions, FAST undergraduate program, FAST undergraduate programs, FAST University, How much marks I need in FAST?, How to Calculate FAST Aggregate, How to prepare FAST, How to Prepare for FAST 2016, How to Prepare for FAST 2017, How to Register for FAST Test, How to register how FAST, Important Maths Topics for FAST, Important Physics Topics FAST, Marks Required in FAST?, Preparation Online, Solved FAST MCQs, Solved FAST Past Paper on February 28, 2019 by Pakprep.com Admin. This entry was posted in FAST and tagged Best way to prepare for FAST, Download FAST Past Paper, Download FAST Past Papers, FAST, FAST 2015, FAST 2016, FAST 2017, FAST 2017 Format, FAST 2017 MCQs, FAST 2017 Physics MCQs, FAST 3, FAST Admission, FAST Admission 2017, FAST Admission Test, FAST Admission Test 2015, FAST Admission Test 2015 engineering, FAST Admission Test 2016, FAST Admission Test 2016 engineering, FAST Admission Test 2016 FAST 2016 Preparation, FAST Admission Test 2017, FAST Admission Test 2017 engineering, FAST Aggregate, FAST aggregate 2014, FAST Aggregate 2016, FAST Aggregate 2017, FAST BBA eligibility criteria, FAST Biology MCQs, FAST BS eligibility, FAST Chemistry MCQs, FAST eligibility, FAST eligibility criteira, FAST Eligibility Criteria, FAST engineering, FAST engineering eligibility criteria., FAST Engineering Past Paper, FAST Entrance Test, FAST Entrance Test 2015, FAST Entrance Test 2016, FAST Entrance Test 2017, FAST entry test, FAST Entry test 2015 preparation, FAST Entry test 2016 preparation, FAST Entry test 2017 preparation, FAST entry test preparation, FAST FEE Structure, FAST financial aid, FAST Integration MCQs, FAST Islamabad, FAST Maths MCQs, fast mcqs, FAST Merit 2014, FAST merit list, FAST merit list 2016, FAST Mock Tests, FAST online preparation, FAST Online Test Preparation, FAST Paper Pattern, FAST past paper, FAST past papers, FAST Past Papers Engineering, FAST Past Papers Medical, FAST physics, FAST Physics MCQs, FAST Practice MCQs, FAST Practice Test, FAST Preparation, FAST preparation 2016, FAST preparation 2017, FAST programs, FAST result, FAST scholarships, FAST Semester FEE, FAST Solution, Fast solved MCQs, FAST Test, FAST undergraduate, FAST undergraduate admission, FAST undergraduate admissions, FAST undergraduate program, FAST undergraduate programs, FAST University, How much marks I need in FAST?, How to Calculate FAST Aggregate, How to prepare FAST, How to Prepare for FAST 2016, How to Prepare for FAST 2017, How to Register for FAST Test, How to register how FAST, Important Maths Topics for FAST, Important Physics Topics FAST, Marks Required in FAST?, Preparation Online, Solved FAST MCQs, Solved FAST Past Paper on December 12, 2018 by Pakprep.com Admin. Founded as a Federally Chartered University in July 2000, the National University of Computer and Emerging Sciences is a premiere University of Pakistan, renowned for quality and impact of its students in the development of local software and other industries. FAST earned respectable name in very short period of time due to their hard work and dedication. They have five campuses around Pakistan Karachi, Lahore, Islamabad, Peshawar and Chiniot-Faisalabad. FAST has almost 500 highly qualified faculty members. Their main vision is to be recognized globally research university. FAST entry test is very hard and competitive, every year thousands of students apply for admission in FAST. This entry was posted in FAST and tagged Best way to prepare for FAST, Download FAST Past Paper, Download FAST Past Papers, FAST, FAST 2015, FAST 2016, FAST 2017, FAST 2017 Format, FAST 2017 MCQs, FAST 2017 Physics MCQs, FAST 3, FAST Admission, FAST Admission 2017, FAST Admission Test, FAST Admission Test 2015, FAST Admission Test 2015 engineering, FAST Admission Test 2016, FAST Admission Test 2016 engineering, FAST Admission Test 2016 FAST 2016 Preparation, FAST Admission Test 2017, FAST Admission Test 2017 engineering, FAST Aggregate, FAST aggregate 2014, FAST Aggregate 2016, FAST Aggregate 2017, FAST Biology MCQs, FAST Chemistry MCQs, FAST Eligibility Criteria, FAST engineering, FAST Engineering Past Paper, FAST Entrance Test, FAST Entrance Test 2015, FAST Entrance Test 2016, FAST Entrance Test 2017, FAST entry test, FAST Entry test 2015 preparation, FAST Entry test 2016 preparation, FAST Entry test 2017 preparation, FAST entry test preparation, FAST FEE Structure, FAST financial aid, FAST Integration MCQs, FAST Islamabad, FAST masters programs, FAST Maths MCQs, fast mcqs, FAST Merit 2014, FAST merit list, FAST merit list 2016, FAST Mock Tests, FAST online preparation, FAST Online Test Preparation, FAST Paper Pattern, FAST past paper, FAST past papers, FAST Past Papers Engineering, FAST Past Papers Medical, FAST PHD, FAST physics, FAST Physics MCQs, FAST Practice MCQs, FAST Practice Test, FAST Preparation, FAST preparation 2016, FAST preparation 2017, FAST programs, FAST result, FAST scholarships, FAST Semester FEE, FAST Solution, Fast solved MCQs, FAST Test, FAST ug programs, FAST undergraduate, FAST undergraduate admission, FAST undergraduate admissions, FAST undergraduate program, FAST undergraduate programs, FAST University, How much marks I need in FAST?, How to Calculate FAST Aggregate, How to prepare FAST, How to Prepare for FAST 2016, How to Prepare for FAST 2017, How to Register for FAST Test, How to register how FAST, Important Maths Topics for FAST, Important Physics Topics FAST, Marks Required in FAST?, Preparation Online, Solved FAST MCQs, Solved FAST Past Paper, UG programs offered by fasr on November 29, 2018 by Pakprep.com Admin.